The Vedas are a vast body of literature, containing knowledge (veda) of every facet of civilized human life. Scholars often disagree on the origin and definition of the Vedas, but the purpose of the Vedas is given by Krishna in the Bhagavad-gita: vedais ca sarvair aham eva vedyo, "by all the Vedas, I am to be known . . . I am the original compiler of the Vedas." In other words, genuine knowledge is that which brings one closer to understanding the Absolute Truth, the Supreme Personality of Godhead. 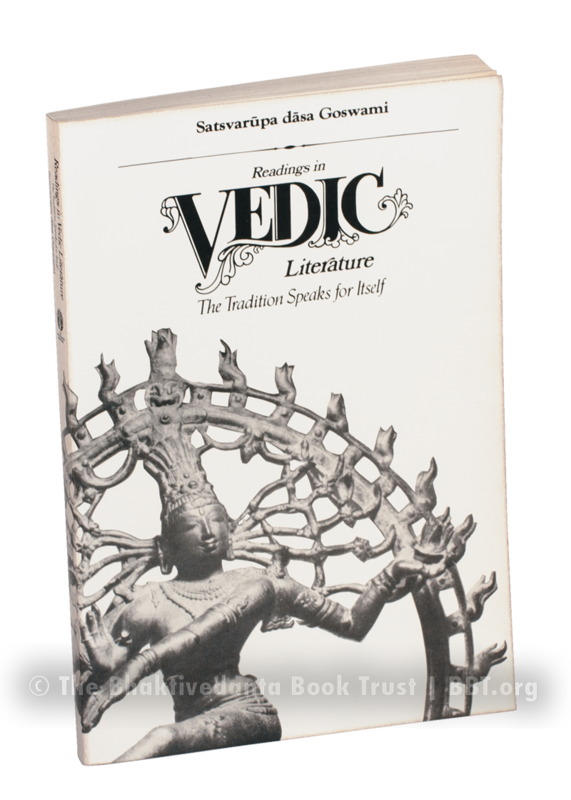 Readings in Vedic Literature has become a standard text in universities for its clear and balanced presentation of the purpose and history of the Vedas. It presents the views of Vedic and non-Vedic scholars while making the overall point that, since Krishna (the Absolute Truth) is the ultimate end of all knowledge, the Vedic tradition is alive as long as there are devotees of Krishna in the world.